Click here to see more Isaac Mizrahi Shoes! 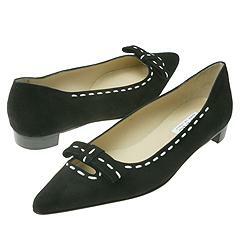 Adorable pointed toe maryjane featuring contrast stitch details. Soft suede upper. Leather sole and lining. Lightly padded footbed. 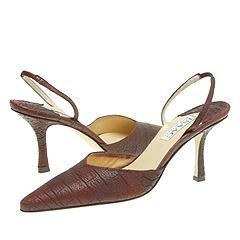 Beautiful halter-style slingback featuring a printed leather upper. Full leather sole and leather lining. Lightly padded footbed.